Grace Lin is an award-winning and bestselling author and illustrator. She has written and illustrated several picture books about life in a Chinese American family (based on her own! ): Dim Sum for Everyone!, Kite Flying, Fortune Cookie Fortunes, and Thanking the Moon. And she was awarded a Caldecott Honor for A Big Mooncake for Little Star. 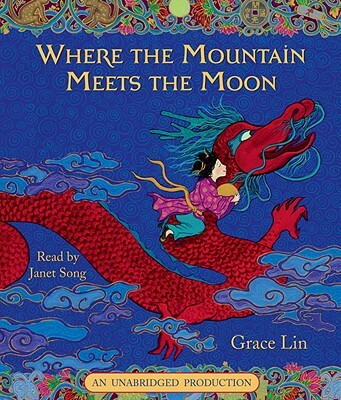 Her books for older readers include the Newbery Honor winner Where the Mountain Meets the Moon, When the Sea Turned to Silver, Starry River of the Sky, The Year of the Dog, The Year of the Rat, and Ling & Ting: Not Exactly the Same!. Grace Lin grew up in upstate New York and attended the Rhode Island School of Design. She now lives in Massachusetts. To learn more, visit gracelin.com.